Responding to Men in Crisis is based on new research looking at gendered assumptions about rationality and men's mental health. 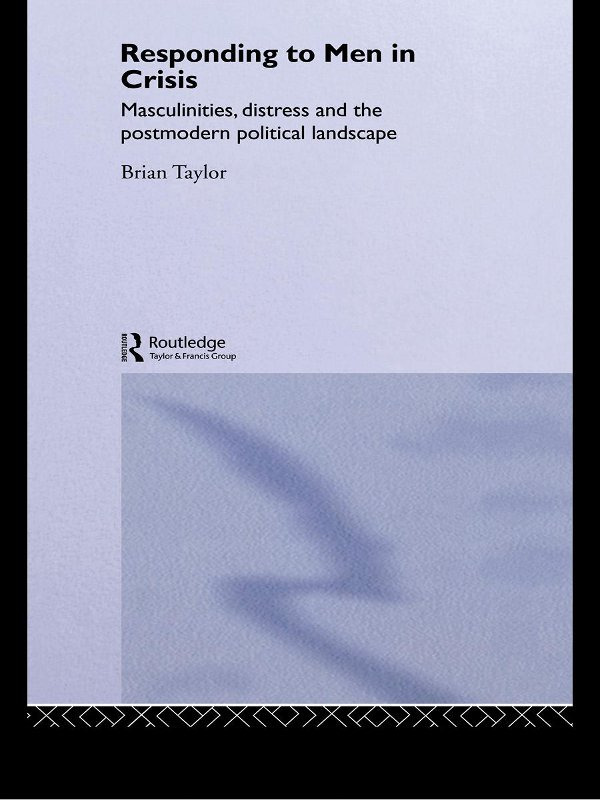 It looks at postmodern theory in relation to masculinities and madness, and discusses key contemporary debates in political uses of risk, dangerousness and so on. The author relates this to a discussion of current policy and practice responses to men within the mental health system. It offers the reader a theoretical exploration of a topically and politically sensitive issues and is relevant to service user involvement and survivor movements, making it essential reading for academics and students of sociology and allied disciplines. Brian Taylor worked as a community development worker between 1984 and 1993, mostly for one of the first user/survivor led MIND groups in England. He draws on a range of personal experience including involvements in informal crisis support, self-help therapy, and anti-sexist men's groups, and has recenetly completed a PhD in Applied Social Sciences at the University of Bradford.